Nothing says Christmas quite like mulled wine. 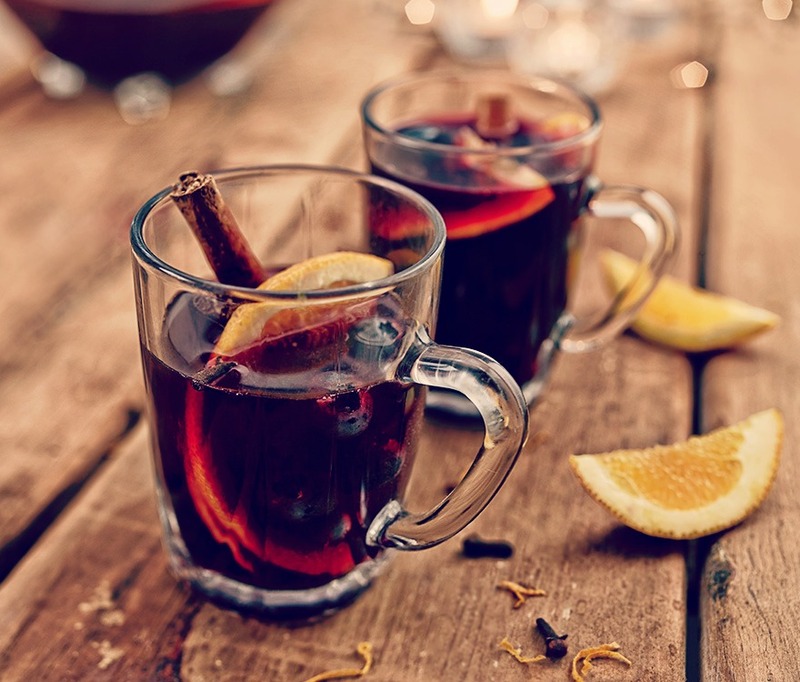 Whether you’re sitting in front of a log fire, or wandering through the German markets, mulled wine has become an integral part of the festive season. Mulled wine is a drink of warm, sweetened red wine that is flavoured with citrus and aromatic spices such as cloves, nutmeg and cinnamon. It has been around for centuries - with some people believing that it dates back to Ancient Greek and Roman times - and was served in the medieval age to display the wealth and generosity of a household. It is in the Victorian era that the popularity of mulled wine really began to grow, and in fact it was Charles Dickens who helped to make it synonymous with Christmas through its inclusion in his novel A Christmas Carol. However, although mulled wine may be a staple of many seasonal parties, it’s safe to say that it does not lend itself well to nightclubbing. Luckily for club-goers, a London-based drinks company has come up with a new, refreshing way to enjoy this traditional tipple. While specific recipes for mulled wine may vary, they all follow a similar formula. Not so for drinks company Lic, who are throwing out the rulebook with the launch of their limited edition mulled wine flavoured frozen cocktail. Set up by university graduates Noah Geeves and Harry Stimpson, this London-based cocktail start-up has made a name for itself with a range of cocktails served in ice lolly form, including Pina Colada and Mojito. The duo’s latest festive-inspired offering is a mulled wine-flavoured frozen cocktail. Like its more traditional cousins, Lic’s mulled wine is made from a blend of Chianti red wine, oranges, lemons, limes, and range of spices such as cinnamon, nutmeg, star anise and cloves. But it has one key difference – rather than a warming beverage, it is an ice lolly! The drink is frozen using an innovative technology which helps to preserve the alcohol content of the cocktail - and with an ABV of up to 15%, they certainly pack a punch! winter favourite and summer treat sounds like a match made in heaven, you’ll want to know where you can get your hands on this frozen cocktail. The mulled wine ice lollies are available as a limited edition at a range of Lic special events over the Christmas period. It may also be stocked at selected ‘alpine themed bars’ throughout the capital. Lic’s previous products, the Mojito and Pina Colada frozen cocktails were served at Mahiki as well as at the club’s summer functions - so it’s likely that visitors to the famous nightclub will soon be able to cool down with a mulled wine lolly. There’s also good news for people who prefer to drink in the comfort of their own home, as the new technology used to make the drink means that it can be bought in its liquid form and frozen at home to enjoy later. So, when the club gets too hot for you this Christmas season, why not forget the usual suspects and stay in the festive spirit by reaching for a mulled wine ice lolly? A childhood favourite with a grown up twist – what’s not to love?